OneDublin.org recently met with a former Vice President of Livermore Charter Learning Corp. (now Tri-Valley Learning Corp. – TVLC) and parent of two children attending Livermore Valley Charter School (LVCS). Tri-Valley Learning Corp. (TVLC) is the corporation behind the Tassajara Prep charter petition being debated in Dublin. What became clear during the discussion is that the charter school debate in Dublin bears little resemblance to the charter school debate that took place in Livermore. Based on the experience in Livermore, and OneDublin.org’s extensive research into charter schools, a key component of a successful charter school initiative is strong parent involvement and support, from the beginning of the initiative and starting at the top. In our tale of two charter initiatives, Livermore started with strong parent support and leadership in stark contrast to the Tassajara Prep initiative. Starting at the top – in Livermore, every single member of the Tri-Valley Learning Corp. (TVLC) board either has children or grandchildren attending Livermore Valley Charter School (LVCS), as does TVLC COO Bill Batchelor. The parents behind TVLC have a vested – and personal – interest in the success of the Livermore school. Collectively, Livermore parents (as detailed below) donated thousands of hours before the school opened, triggered into action by a dispute with the school district regarding the closure of two Livermore elementary schools. In Dublin, none of the original Tassajara Prep backers have children in Dublin public schools and only one, Rully Kusuma, has a young child who may attend Dublin public schools in the future. The parents behind Livermore Valley Charter School (LVCS) had direct experience with Livermore public schools whereas none of the Tassajara Prep backers have had any direct experience with Dublin public schools. In Livermore parents demonstrated strong support for the charter initiative from the beginning – showing up and speaking passionately in favor of the charter school petition. In Livermore’s public hearing the overwhelming majority of parents in attendance supported the charter initiative, armed with pro-charter signs and t-shirts. Only a handful of people at the Livermore public hearing spoke against the charter initiative. Furthermore, the Livermore Valley Charter School petition included the names of 111 parents in a section named “Livermore Valley Charter School Committee Members and Volunteers” which was provided “as evidence of the parental support representing the petitioners” (source: Livermore Valley Charter School Petition, March 16, 2004, shown to the right with last names removed). In Livermore, families agreed to donate 150 hours of volunteer time each (that’s equivalent to working full-time for almost a month) between Feb 12, 2004 and June 30, 2004 to be “founding members” of Livermore Valley Charter School. Tens of thousands of hours were donated by parents – a substantial commitment. Livermore’s charter school initiative was a grassroots movement and parent-driven. In Dublin, at a Tassajara Prep town hall meeting held in the Fall of 2009 intended to inspire a similar army of volunteers, only a handful of names resulted on an array of mostly blank sign-up sheets taped to the meeting room walls. In Dublin no parents spoke in favor of the Tassajara Prep charter petition at the public hearing (the only speaker to do so was John Zukoski from Tassajara Prep). Unlike Livermore, the Tassajara Prep charter petition wasn’t signed by a single parent with children that would attend Tassajara Prep in its opening year. At the Dublin public hearing over 50 speakers from across Dublin including parents, students and residents, spoke in opposition to the controversial Tassajara Prep charter petition. An on demand replay of all those who spoke at the Dublin public hearing is available here. 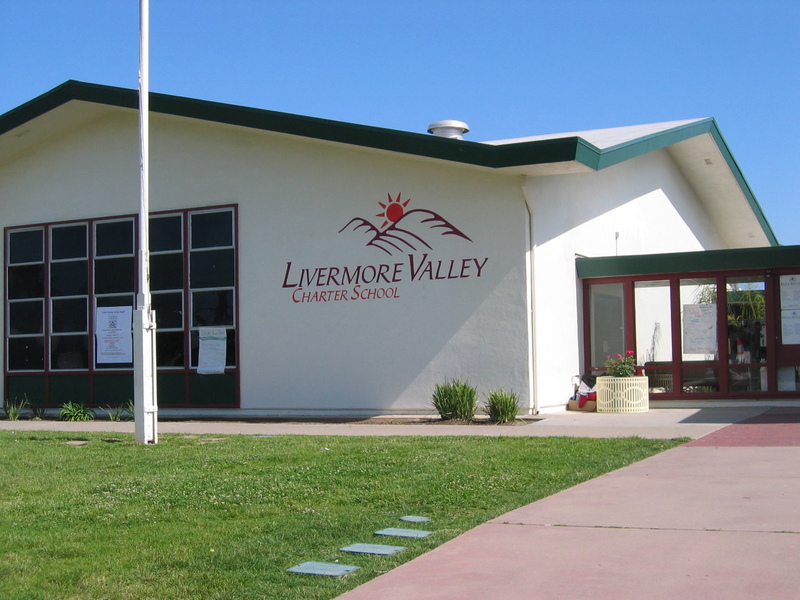 In Livermore the charter petition for Livermore Valley Charter School was authored to address Livermore-specific issues – issues that triggered a grassroots movement. In Dublin the charter petition was a cookie cutter copy of the Livermore Valley Charter Preparatory High School petition, offering less choice than what already exists at Dublin High and failing to address any Dublin specific problem or need. In contrast, the grassroots movement in Dublin has been a movement of parents opposed to the charter school initiative. According to Tassajara Prep backer John Zukoski, no parent supporters spoke at the Tassajara Prep public hearing because: “We limited our presenting group and did not campaign for our supporters to be attendance tonight.” (source: Around Dublin blog) According to Bill Batchelor, “[Bill Batchelor] said though only one person spoke in favor of the school during the hearing, it was because organizers asked supporters to stay away” (source: Contra Costa Times). “Did not campaign” or “asked to stay away” – regardless of the real reason, Tassajara Prep support was not visible at the charter petition public hearing in stark contrast to the Livermore experience. Recognizing the credibility problem posed by the lack of visible parent support, Tassajara Prep backers are now trying to get parent signatures after the fact (source: Tri-Valley Learning Corp. Board Meeting 2-25-2010). These signatures, however, are for show only – they cannot be independently verified as valid (which would be the case if the parent signatures were included with the original charter petition). According to George Wu, a parent supportive of the Tassajara Prep concept: “I do not know exactly how many [Dublin parents support the charter school]. However, based on my conversation with tens of parents, almost all of them generally support the idea. But as you can see, they are not as enthusiastic as people who are against it. Part of it is because most of them are new immigrants who are not as politically active.” (source: Around Dublin blog, Feb. 24th, 2010; the Around Dublin blog is run by Tassajara Prep backer John Zukoski). In Livermore, and in charter schools across California, systemic charter school funding gaps are addressed through aggressive fund-raising campaigns. In Livermore, parents are strongly encouraged to donated $1,000 per student per year to ensure a full program. In more affluent communities such as Los Altos, parents are strongly encouraged to donate $4,000 per student per year (source: Bullis Charter School – an elementary charter school). In Dublin, the Tassajara Prep fiscal plan assumes no fundraising, yet somehow promises to offer a comprehensive high school curriculum. Livermore Valley Charter School used Prop 39 to occupy a closed elementary school (in Livermore there were multiple closed elementary schools available). In Dublin, Tassajara Prep promises an east-side location to parents but has not presented a credible plan for how the east-side promise would be fulfilled. In Dublin, the only vacant school is a closed west-side elementary school (location of Nielsen Elementary site available here). The only similarity between the Livermore and Dublin charter initiatives is the charter petition itself. As separately documented by OneDublin.org, the Tassajara Prep charter petition is a cookie cutter copy of the Livermore Valley Charter Preparatory High School charter petition. Both the Tassajara Prep and Livermore Valley Charter Preparatory High School charter petitions are available here for comparison. In this tale of two charter initiatives it is clear there are no cookie cutter communities or cookie cutter schools. Livermore-based Tri-Valley Learning Corp. has not demonstrated that a cookie cutter charter school would be welcomed or needed in Dublin. A key question for Dublin public education in the months ahead – will passionate parent support emerge for the Tassajara Prep initiative or will Tassajara Prep become another example of a failed charter school (29% of grade 9-12 charter schools in California have failed)? Tri-Valley Learning Corp. plans to expand its operations to include Livermore Valley Charter Preparatory High School in the Fall of 2010, with Portola Elementary as the preferred location for the high school (as per the recently submitted Prop. 39 facilities request available here). Those attempting to start charters, particularly in California, must fight the obstacles placed in their paths by schools boards and the unions that control them. The top high schools in the country, and, with one exception, the only top high schools in California, are overwhelmingly charter schools. Of course Charters take money from traditional schools, Charters do the job. They hire non-union teachers and generally do not teach the agenda-driven curriculum of the traditional, union dominated monopoly of public schools. The obfuscation represented in the recent article in “The Livermore Independent” is but the tip of the ice berg in dealing with schools boards, and of course, the Livermore schools, where the schools are outperformed by others in the valley, loses students and state money to Charters. The overly long nonsense presented by the spokesperson for the Livermore School Board, should be greeted with skepticism by every parent or interested party. This is all political. Charters make the traditional schools look bad, and the unions have no control over the teachers or methods of education. California education is 49th out of 50 in the U.S. When Mississippi fixes its schools, we will be lowest on the list in terms of academic achievement and quality. Charter schools, or homeschooling, is the only way parents who cannot afford private schools, or caring educators, can ensure quality education in California. Thanks for your comment. Note that this article is not related to the new charter school being proposed in Livermore, but rather a new charter high school being proposed for Dublin. The Dublin charter initiative (Tassajara Prep) has failed to garner parent support at any of the public hearings. The point of this article was to contrast the experience in Livermore (the charter initiative there had parent support) vs. the experience in Dublin. Dublin, fortunately, has very strong public schools which has made justifying the risk and complexity of opening a new charter school a difficult sell to parents.